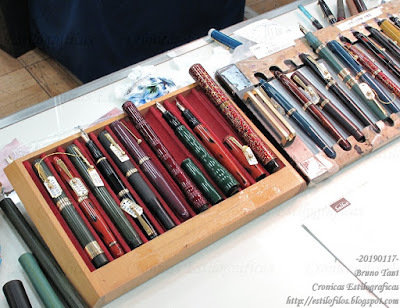 Besides the big three Japanese pen companies –Pilot-Namiki, Platinun-Nakaya, and Sailor– there are a bunch of small operations, some of which I have described on these Chronicles: Masahiro, Eboya,... I haven't spoken much about Ôhashidô, and that despite being very active in the local (Japanese) market. Ôhashidô –Ôhashidô Ltd.– was formally founded in 1965, but it has its origins in Tokyo in 1912, when Yoshiharu Uemura open his workshop in Asakusa while working for SSS, the big company of the time. He moved to Sendai, about 300 km North of Tokyo, after the Big Kanto Earthquake in 1923 to work with inventor Kazuyoshi Hiratsuka. The new shop was located close to the Big Bridge (Ô-hashi) over the river Hirose. Ôhashidô means “the hall of the big bridge”. The business was completely destroyed during the War. The operation revived around 1950 in the hands of Yoshiharu's son Eiichi Uehara, but not through manufacturing pen but by fixing them. The production of pens was resumed some years later, and by 1965 Ôhashidô Ltd. started formally. In 2010, Eiichi's son Yuuichi Uehara took control of the company. He has become very active in the Japanese scene by attending a big number of sale events hold on stationers and department stores where he sells his pens directly. 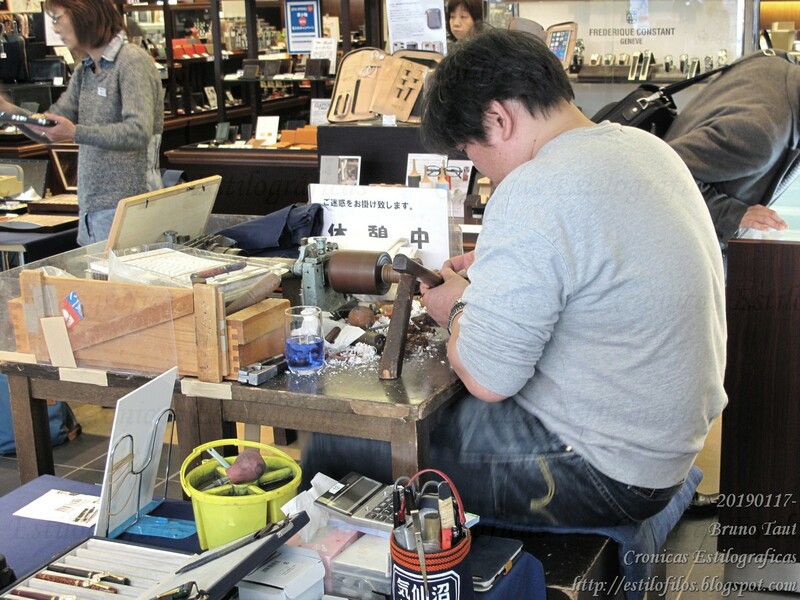 Yuuichi Uehara at work in Maruzen stationery in Nihonbashi (Tokyo). 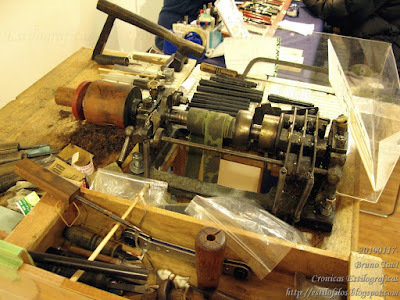 The traveling rokuro (traditional lathe). Ôhashidô's operation is quite unique. It seems anchored in the pre-industrial era. There is barely any system in the production: there are no model names, the warranty card is just Uehara's business card, there are no instruction sheets, etc... Contacting him is not easy either—he has no public email address, and only very recently he open a website (https://ohasibo.theshop.jp/). As for the pens, they are made mostly in ebonite –sometimes from Nikko Ebonite, some other from old in-house production--, and implement Sailor nibs of sizes medium and big (following Sailor names) in both 14 K and 21 K grades. In fact, for some time, Ohashido offered big nibs made of 14 K gold, which was not an option on Sailor pens. In a more distant past, Ohashido used nibs by Ishiwaka Kinpen Seisakusho, Kabutogi Ginjiro, and even Ishi Shoten (Yotsubishi). Some sources also speak of nibs made by Eiichi Uehara himself. A big Ôhashidô nib made of 14 K gold. Of course, made by Sailor. All current Ôhashidô pens use Sailor cartridges and converters. The later, at least, if the barrel was big enough, of course. 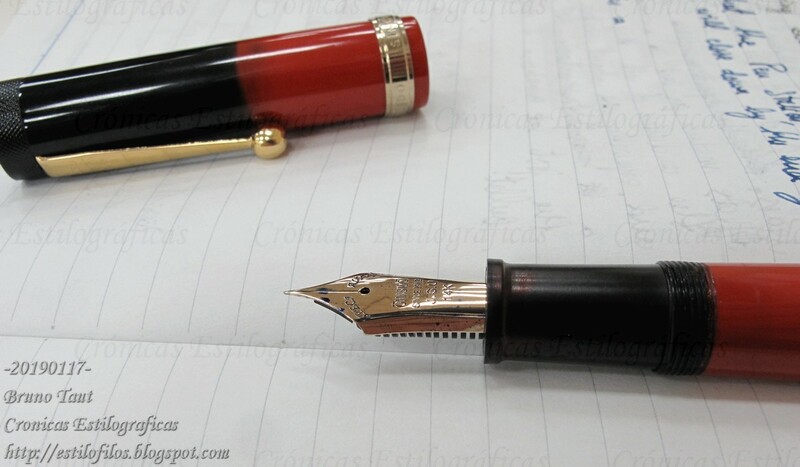 And on another Chronicle I will describe some Ôhashidô pen in detail. Thanks, Nikos, for your comments and encouragement. We seem to agree--Ohashido is quite unique. Thant might be part of the charm. Paradoxically, this pre-industrial way of working might have prevented a bigger success in the past, but might give Ohashido more chances for survival in the future.